You can open your spreadsheet files out of your mail.com File Storage. Note, that only the following file formats are supported for spreadsheets: .xls, .xslx, .ods. The file management for Online Office is done in your mail.com File Storage. If you want to open and edit locally stored files in Online Office simply click Upload, select a compatible file and click Open. 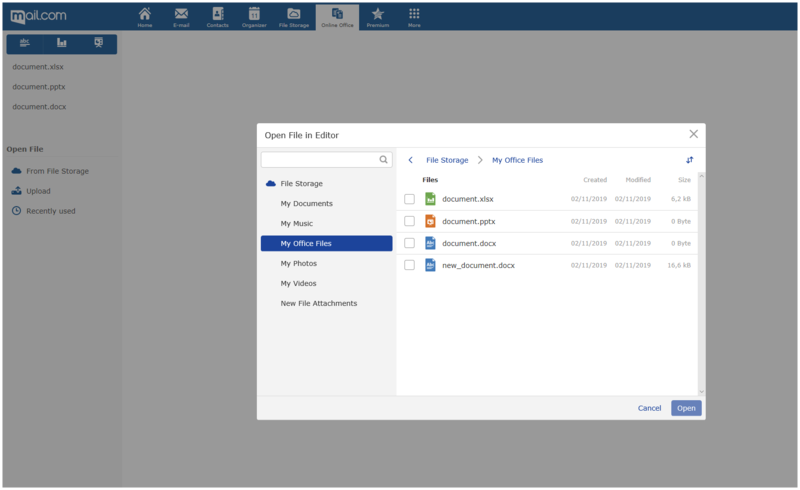 The file will then open in Online Office and will be saved in your File Storage. E-mail file attachments can only be opened and edited in Online Office once they have been stored in your File Storage.